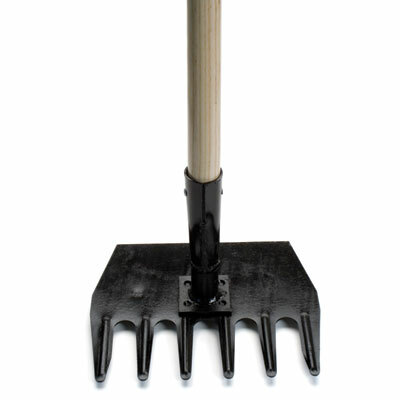 Both hoe and rake in one. • Great for clearing duff and grass. • 6 tines. Overall handle length in socket - 48"